All rights reserved. This essay is republished here with the kind permission of the author. 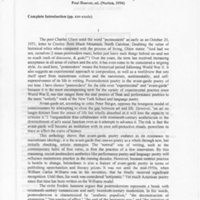 Hoover, Paul, “Postmodern American Poetry,” The Haiku Foundation Digital Library, accessed April 18, 2019, http://www.thehaikufoundation.org/omeka/items/show/1478.